1 What is Global Health? 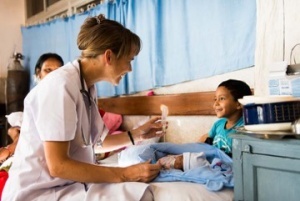 2 How Do Physiotherapists Fit Into Global Health Initiatives? 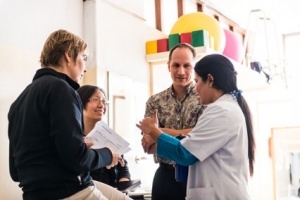 How Do Physiotherapists Fit Into Global Health Initiatives? For more information, please visit http://physioghd.com. "When diplomats met to form the United Nations in 1945, one of the things they discussed was setting up a global health organization. WHO’s Constitution came into force on 7 April 1948 – a date we now celebrate every year as World Health Day." ↑ Beaglehole R, Bonita R. What is global health? Glob Health Action. 2010; 3: 10.3402/gha.v3i0.5142.fckLRPublished online 2010 Apr 6. ↑ Koplan JP, Bond T, Merson M, Reddy K, Rodriguez M, Sewankambo N. Towards a common definition of global health. Lancet. 2009;373(9679):1993–5. ↑ 3.0 3.1 3.2 Beaglehole R, Ebrahim S, Reddy S, VoÛte J, Leeder S, on behalf of the Chronic Disease Action Group. Prevention of chronic diseases: a call to action.fckLRLancet. 2007; 370: 2152–57. ↑ 4.0 4.1 Geneau R, Stuckler D, Stachenko S, McKee M, Ebrahim S, Basu S, Chockalingham A, Mwatsama M,fckLRJamal R, Alwan A, Beaglehole R. Raising the priority of preventing chronic diseases: a political process. Lancet. 2010; 376: 1689–98. ↑ Noncommunicable diseases factsheet. World Health Organization. Available at http://www.who.int/mediacentre/factsheets/fs355/en. Last accessed 01/05/2016. ↑ Global Health Division. What is the definition of global health? Accessible at http://www.physioghd.com/about-us/definitionofglobalhealth. Last accessed 01/05/2016. ↑ 7.0 7.1 Mickan S, Hoffman SJ, Nasmith L; World Health Organizations Study Group on Interprofessional Education and Collaborative Practice. Collaborative practice in a global health context: Common themes from developed and developing countries. J of Interprofessional Care. 2010 24(5): 492-502. ↑ 8.0 8.1 8.2 8.3 8.4 8.5 8.6 8.7 8.8 8.9 The First Physical Therapy Summit on Global Health: Implications and Recommendations for the 21st centuryfckLRPhysiotherapy Theory and Practice: An International Journal of Physiotherapy. 2011; 27(8). ↑ 9.0 9.1 9.2 Alappat C, Siu G, Penfold A, McGovern B, McFarland J, Raman S, Landry MD. Role of Canadian Physical Therapists in Global Health Initiatives: SWOT Analysis. fckLRPhysiotherapy Canada. 2007; 59(4): 272-285. ↑ 21.0 21.1 21.2 Global Health Special Interest Group website. Available at: http://www.aptahpa.org/?page=GlobalHealthSIG. Last accessed 21/05/16. ↑ 25.0 25.1 World Confederation of Physical Therapists website. Available at: http://www.wcpt.org/. Last accessed 21/05/16.